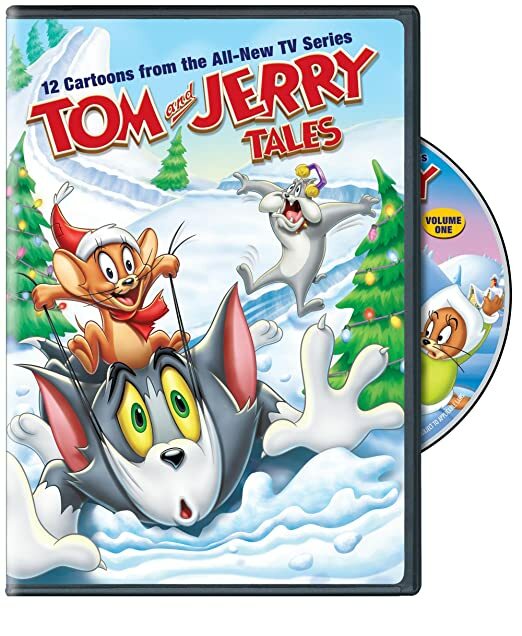 Tom and Jerry tales is SEGA emulated cheese collecting adventure which starts off in the kitchen. The minute after mum and dad have left the house, Tom gets to work to catch Jerry. He sets up traps with cheese all around the house waiting for Jerry to show up and take the bait. Eventually that happens and basically the game builds the play around Jerry solving various tasks in different rooms. The first thing you want to do is to select 'English' with arrow keys and press 'Z' key to select start. Games emulated with Sega flash plugin are usually older and therefore provided in somewhat lower quality and lower resolution than modern games. So, the lower visual quality of the game is usually quite normal. Another thing about Sega emulated games are very tricky controls. You don't use gamepad with all the buttons and everything. Instead you have a keyboard so the keyboard keys must somehow map onto the gamepads' button. That is why you get to see in-game controls instructions given for button 'A', 'B' and so on. Instead you must use keys like 'a',s','d',f','g','h'. Enter is usually always reserved for starting the game. I know it's tricky at first, but if you spend enough time with the game, you get used to.. The first task is in the kitchen where Jerry sits trapped underneath the table. His job is to avoid falling fruits and cup from the table held by Tom. Jerry than must grab the saw and cut off the table's legs to trap Tom. Finally Jerry must pick up the knife and cut of the rope to get Tom smashed by the table. This is how the level 1 ends. To get to the next level, Jerry follows the cheese trail to the mousewheel. This is something completely different. A classic platformer where Jerry jumps on and off the brick platforms collecting cheese. He must collect all the cheese in order to finish this level. It's very simple. In case you'd like to purchase one, you will find it on the Amazon for about 5$, which was the price the last time I checked. And here are some short cartoon snippetes you may look for on YouTube. I've picked two from hopefully the legit and official channel called 'WarnerBrosOnline'.